Guests are arriving over the holidays and you want to make a good impression. Besides cleaning your home from top to bottom, a renovation such as a custom bathroom remodeling project can really make a statement. The guest bathroom is one room in the home that gets a lot of visits during the holidays. It can be embarrassing to have guests see a dilapidated old bathroom, so it might make sense to have your local bathroom remodelers come in and do a few upgrades in readiness for their arrival. Here are some bathroom remodeling ideas you can quickly squeeze in before the holidays. You can’t go wrong giving your bathroom a fresh coat of paint to liven it up. A quick retouch of the original color will make your bathroom feel fresh if your paint has dulled or chipped over the years, or it could be time to try a different color. Keep in mind that replacing some bathroom fixtures may also be in the cards if you want everything to match. Strategically hanging mirrors on your bathroom walls can add depth and illumination to a small bathroom. Correct placement can drastically change the mood and appearance of a room. 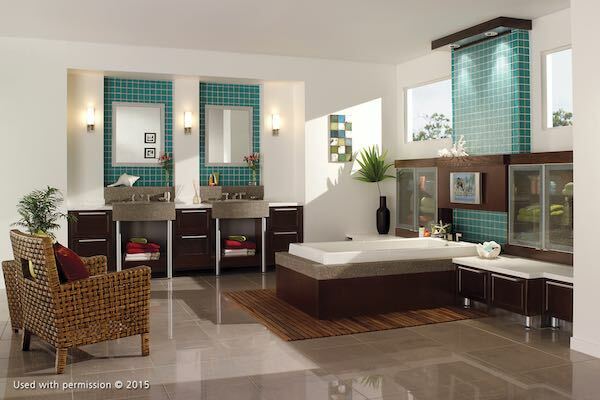 Make sure, however, that your mirror frame matches the color and style of your bathroom. If there isn’t time to install a sink or vanity before guests arrive, consider smaller jobs such as installing a new faucet. Faucets get a lot of use over time, so getting a replacement or two (for double vanities) makes sense. Today, bathroom faucets come in an assortment of shapes, sizes and designs. It should go without saying that your plumbing and fixtures should work right. Get leaks and drips fixed and change out your hardware as necessary, so your guests don’t have to put up with faucets that squeak or drip incessantly. Call DreamMaker Bath & Kitchen of Aiken at (803) 335-1758 or fill out our convenient online form to schedule your consultation today. Hurry, and we may still be able to your project done before the holidays are upon us!